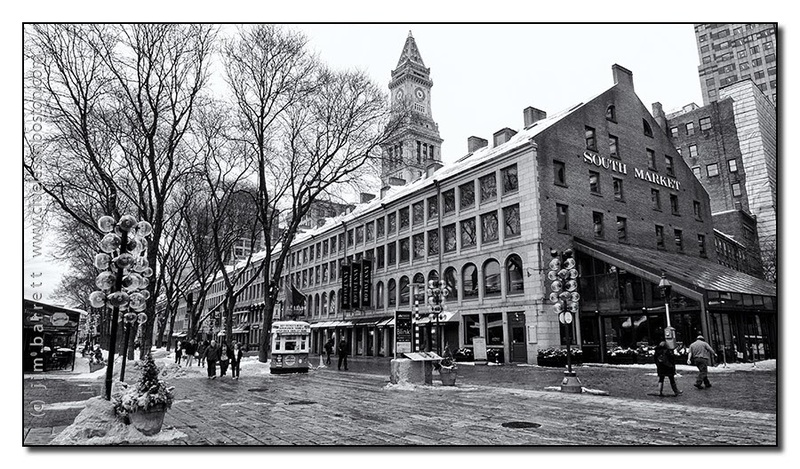 Like those Quincy granite facades (Custom House & South Market). Always a nice place to walk around. Probably even in the winter. I had a summer job in Boston city hall in 1968, when this development was being planned. I saw the plans and walked around the area and was certain that there was no way such ratty old buildings could be turned into anything worthwhile. No wonder I didn't have a career in real estate development. It's a beautiful historic building and your picture is wonderful! A very beautiful building, and a great way to show it !